We consider the scenario where one author can write many books and one book can have many authors. This is a many to many relationship that uses a mapping table to manage the many to many associations between authors and books. The following queries can setup such a database for you. The Author.hbm.xml and Book.hbm.xml described above are placed in the “src” folder. 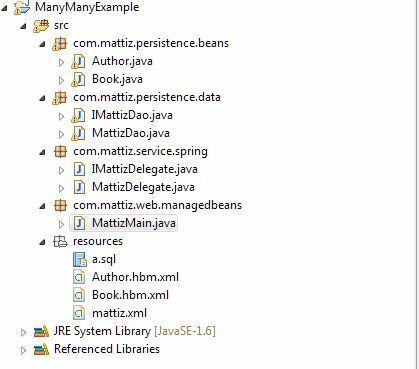 The generated java domain classes are created under “generated/src/com/mattiz/persistence/beans” folder. The jars used for this purpose can be seen in the screenshot. 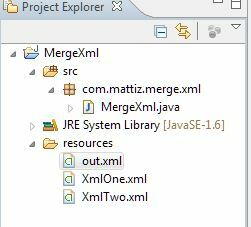 This example is a solution to a commonplace XML problem – merging two XML files into one. 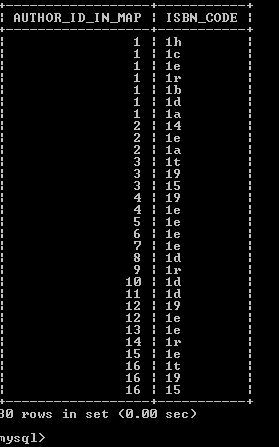 Our two input XMLs will not have any indexes mapping one node to another but it is under the assumption that there is a one to one correspondence between the nodes of each XML based on their location in the XML file. 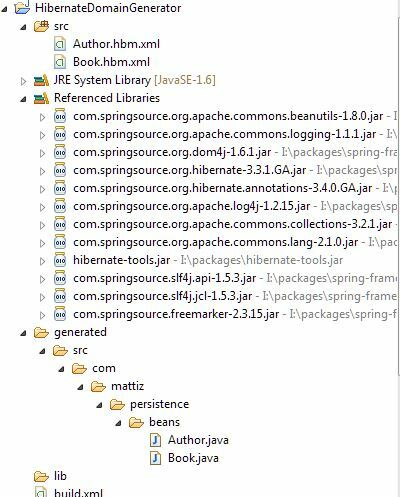 Instead of using user friendly XML parsers such as JDOM and XercesJ we use a less resource intensive light weight technology – XPath that comes bundled with the Java SDK.